You may ask yourself, how could Tina Turner have her highest album debut in her career now after 44 years of performing. It's a pretty simple answer. Material. Like any actress eyes scripts before accepting a project, Tina has pulled together songs that really hit home. This is not meant to discount her performance. Tina just has an uncanny knack for finding her strong points and building on them instead of coasting on her latest release Twenty Four Seven. You could start with the infectious "When The Heartache Is Over." With the Metro production team that helmed Cher's comeback hit "Believe" you might expect Tina might use some vocal manipulation but instead you get raw emotion with upbeat production in this optimistic 'love survivor's anthem'. The danceable "Whatever You Need," funky "Absolutely Nothing's Changed" and even the beautiful ballad "Falling" are classic Turner. Tina also reunites with Bryan Adams on the energetic angst ridden romp "Without You." This album is phenomenal and in my opinion one of her best ever. Sometimes you can feel better hearing a song and knowing that someone else has been where you are. 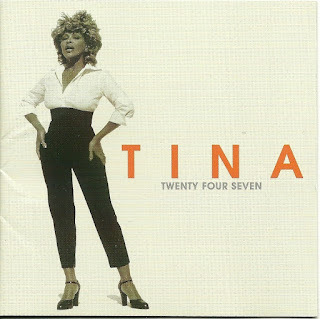 This will always be Tina Turner's best asset (yes, her legs run a close second) and why you can't help but connect with her.